As with many other tumor types, patients with chronic lymphocytic leukemia (CLL) are at risk for developing secondary malignancies. 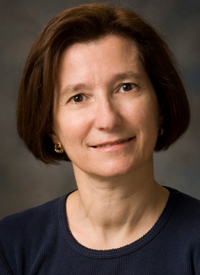 Community oncologists must be aware of these risks, explains Alessandra Ferrajoli, MD, and patients—with the support of their physicians—must keep up with annual colonoscopies, mammograms, and/or prostate exams throughout their entire course of treatment. Most importantly, patients with CLL should undergo a full body exam for skin cancer annually, as that is the most common other cancer for these patients. In an interview with OncLive, Ferrajoli, professor, Department of Leukemia, Division of Cancer Medicine, The University of Texas MD Anderson Cancer Center, discussed the risks of developing secondary malignancies in patients with CLL. OncLive: What is the occurrence of other cancers in patients with CLL? Ferrajoli: In CLL, this is a time where major discoveries are happening, so patients are having a very long life expectancy and there are a lot of active treatments. We noticed that 1 of the most common causes of death of the patients with CLL is the development of other cancers. We are calling them other cancers because they are not necessarily the type of cancer that we see after a patient receives chemotherapy. This is a very small percentage; the majority of the cancers that patients with CLL have are cancers that are not normally associated with treatment. Skin cancer is frequent. Up to one-third of patients [who develop other cancers] will have skin cancer—either melanoma or a non-melanoma type. Other cancers, like breast and colon, are common. What has been noticed is that, together, with skin cancer and squamous cell carcinoma of the head and neck, when those cancers occur they tend to be more advanced and respond less favorably to treatment in patients with CLL. We also call them other cancers because 36% of patients will have the other cancers before they are diagnosed with CLL—so they are not necessarily associated with the treatment of the disease, but they are more derived by the fact that patients with CLL have compromised immune systems, which is our major protector. In the patients with CLL, the immune system is not performing as well as [it would] in a healthy individual. How should community oncologists approach treating patients with CLL who develop secondary cancers? Our message is to make the community oncologist aware and to contribute as much to preventative care as possible. We recommend that every patient with CLL is very punctual—on time in terms of their colonoscopies, mammograms, prostate cancer screenings, and, if they have a history of smoking, screening for lung cancer. We also suggest that every patient with CLL has a full skin examination once a year for the prevention or identification of any melanoma or skin cancer. People are beginning to become aware of health maintenance in CLL and paying particular attention to cancers, [such as] skin cancers. What other pressing challenges in CLL would you like to see addressed? There are improvements that can be made in supportive care and there are some initiatives for immunization. We know that it is very important to look at patients in a global way, so we encourage exercise programs and healthy lifestyles in terms of diets and physical activity. The major challenges now for treatment is to identify treatment combinations that will allow our patients to have treatment-free intervals. Otherwise, the strides being made in this field are so big that it makes everything look promising. What agents or regimens do you find to be the most promising? There are several promising treatments and combinations. All of the oral BTK inhibitors are really promising, including the newer-generation [inhibitors]—even the ones that have not been approved yet. Also, there are some signals that may indicate that we will learn how to use cellular therapies—not only allogeneic stem cell transplant, but the new chimeric antigen receptor (CAR) T cells that are emerging. This is not just the CAR T cell against CD19, but those against the other antigens in CLL, as well. We have several avenues that are moving very fast in the discovery of therapies and improvement of treatment.